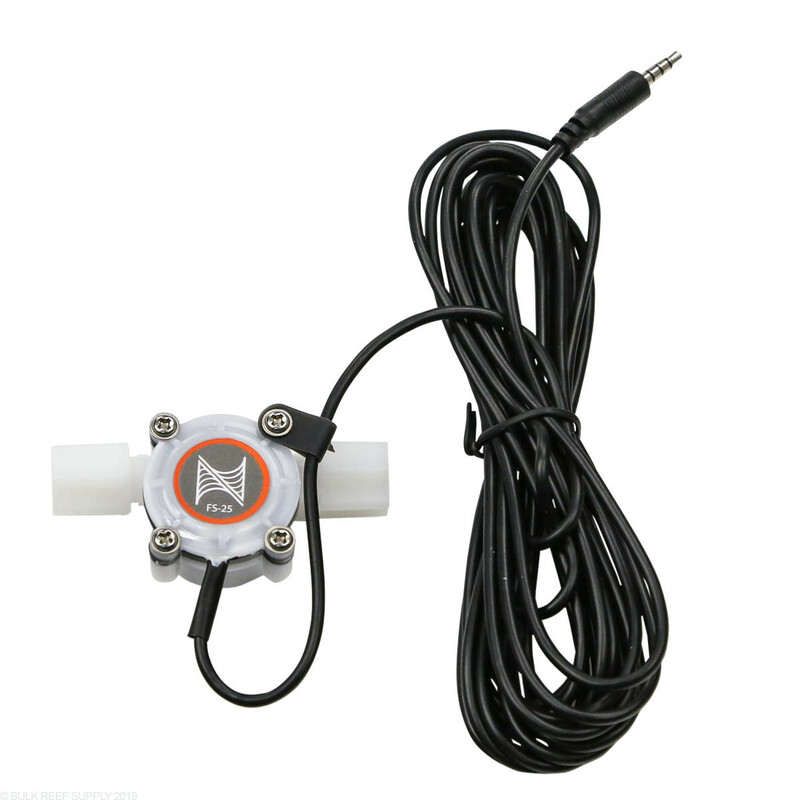 1/4" Flow Sensor for the Fluid Metering Module from Neptune. 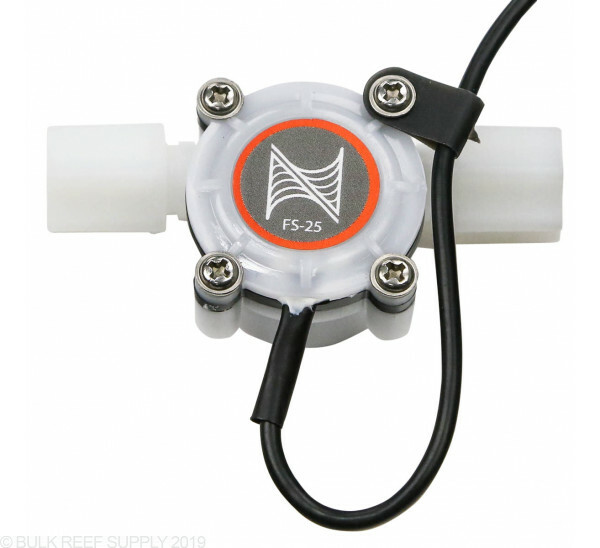 The FS-25 will work with flow rates from 3-12 gph, and will connect to any standard 1/4" push connect tubing. 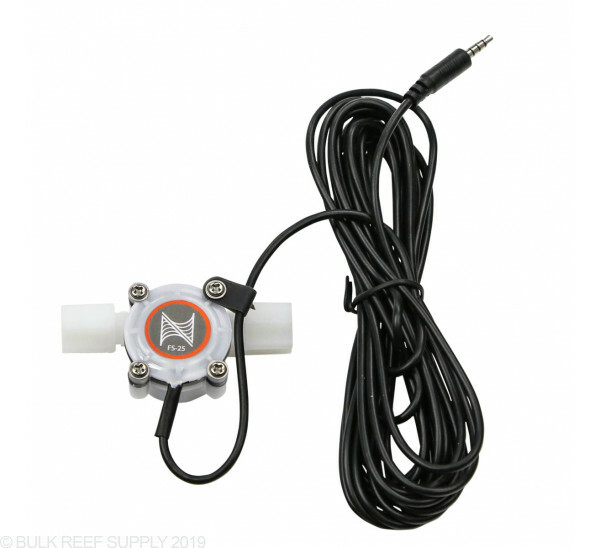 Usually used with a return pump, this flow sensor can be placed in line with the flow on any pipe, connected to the FMM, and communicate to your Apex the flow rate of water through that pipe or tubing. The FS-25 comes with 1/4" push connect tubing that will work with any standard style 1/4" RO/DI tubing. 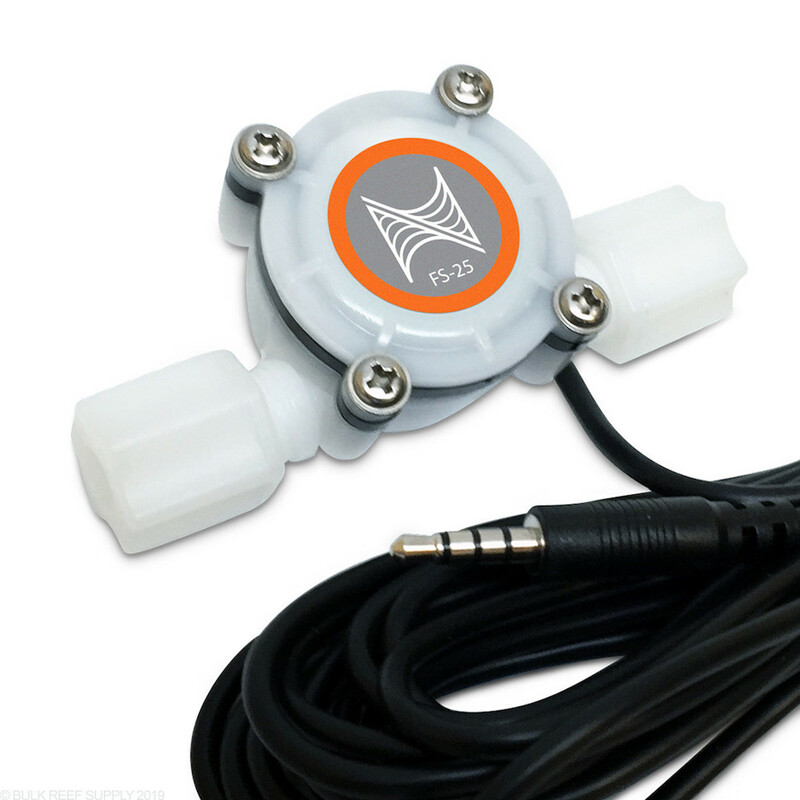 Would this sensor work with Apex dosing pump set to water exchange mode(higher flows)? 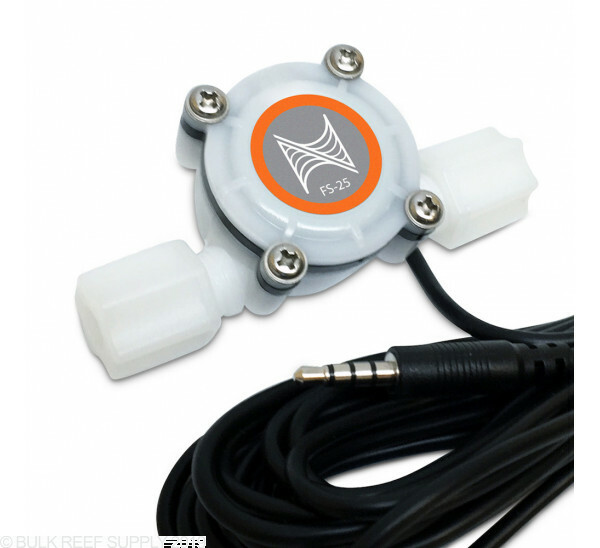 The flow sensor is capable of taking readings down to 3gph. The DOS system has a max output of about 4gph, so at maximum output this will register with the meter. With that said, the DOS does have its own calibration and once set should be very consistent and it may be redundant to have a flow meter installed.